No border. Illustration to Part 5 of work. Header to number and Section V. Caption gives ref. as page 3. 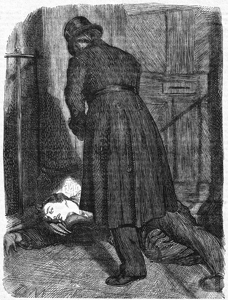 COPAC gives Charles Felix as pseud. This work was subsequently published as a separate volume (London: Saunders, Otley & Co., 1865).